The Principal and Curriculum Head form the daily management of the school, supported by a team of experienced teachers. Education Queensland International (EQI) provides the Curriculum and the annual Quality Assurance processes. Michelle has been involved in education for over 20 years. She has a Masters’ Degree in Education from Deakin University in Melbourne, specialized in International Education and Leadership. Her career started in Goroka, in the Highlands of Papua New Guinea, where she taught for seven years at the Goroka Preparatory School before she became principal of the same school in 2008. She has taught all year levels. In recent years she has been a part of the review team for Education Queensland International and in that capacity participated in the review of several state schools in Queensland, Australia. Michelle committed herself further to the school in 2016 when she became a Director. In this year the school changed its name to The Australian International School PNG to emphasize the school's education system and its formal accreditation to deliver the Australian Curriculum. Frieda has been involved in education for over 30 years. 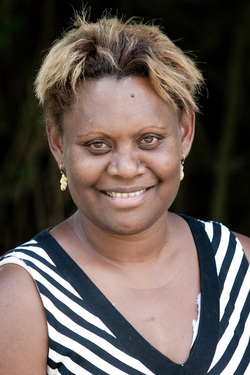 She has a Bachelor’s Degree in Education from the University of Goroka, Eastern Highlands, PNG. Her career started in Goroka where she taught for twelve years at various PNG schools. She later became a teacher at an American Curriculum School, Numonhoi Christian Academy in Goroka where she added 16 years of teaching experience on all year levels. 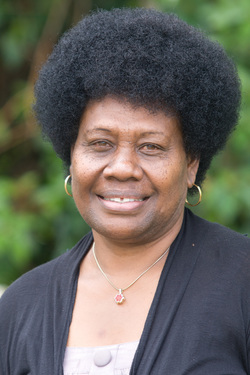 ​In 2012 Frieda joined the team of Goroka Preparatory School (now AIS-PNG) where she took on the extra responsibility as Curriculum Head and Deputy Principal in 2015. Frieda brings to the school a wealth of experience and energy that we see in the classroom and in her collaboration with staff and parents. In 2008 Joeri moved to Goroka, Papua New Guinea. He brings 10 years of management experience to the school via his current executive position at one of the leading coffee export companies in Papua New Guinea. ​Joeri also holds a position as Managing Director of Sustainable Management Services PNG Ltd; a company that provides training to coffee growers and supply chains throughout the country. Its focus is on sustainable production methods, international certification standards and the development of (international) market access for producers.